It rained here for a bit but it’s nice out again. We weren’t grilling outside anyways. We had turkey burgers, salmon burgers, and creamy chicken hash wraps. With avocado shakes and home made blueberry/raspberry ‘ice cream’. Recipes to come in a later posts. As for now.. just some pics of some delicious bites I had this week. 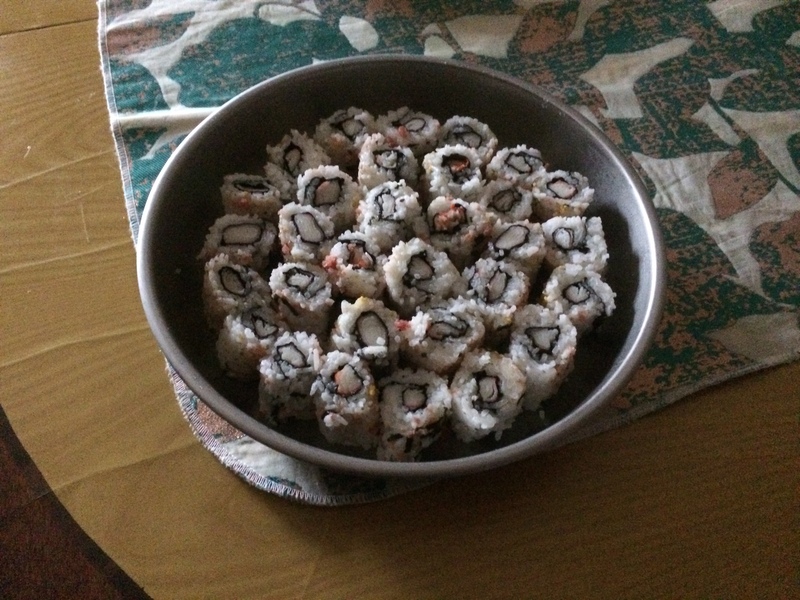 Homemade suhsi by J & J. Just crabmeat and furikake seasoning. This was so simple, I actually enjoyed it. I still have not develop much of a palette for sushi. Baby K randomly called to ask if I wanted anything to eat as I was heading over to their place. 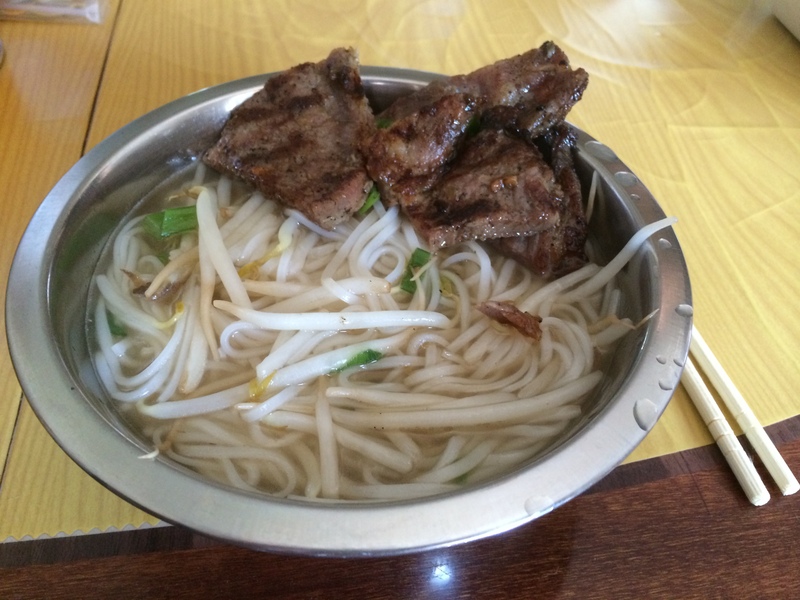 I had a sudden craving for this grilled pork chop with noodles found in many Viet restaurants. This was pretty standard but totally satisfied my craving. I love a good grilled pork (there was a lot more pork than show here) and the broth was on point. 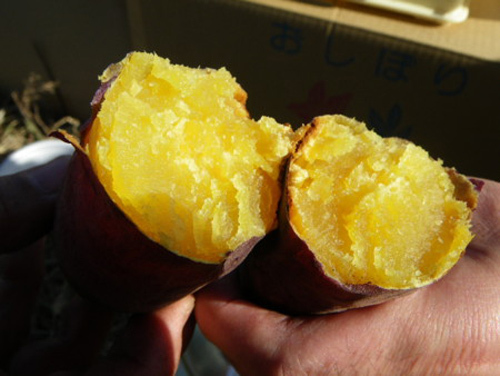 Japanese sweet potato. Just look at that gorgeous flesh… Pure starchy goodness. Makes a great side or even dessert to any meal. You can just simply steam or roast them. My dad likes to steam a whole bunch and just grab for a quick snack whenever he wants. It’s actually quite filling. 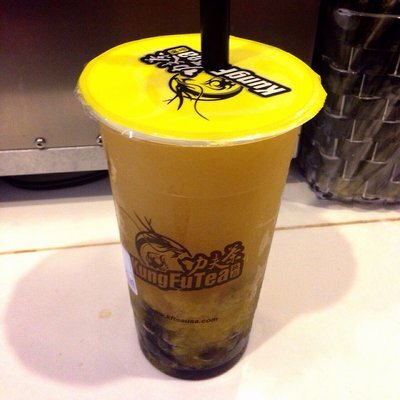 Sunshine pineapple tea from Kung Fu Tea. Refreshing and a great alternative if you’re not in the mood for bubble tea. What a delicious way to start the day. From my uncle’s haul of dim sum. This is one of my favorite dim sum items to have. 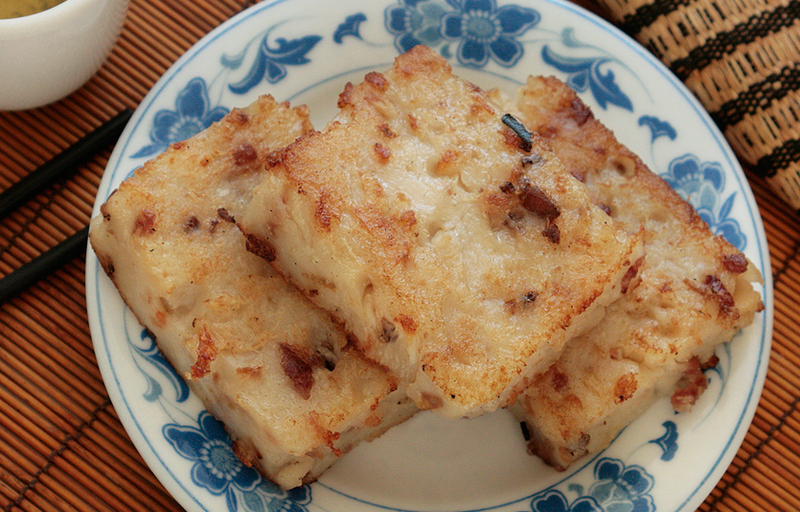 Crispy on the outside, fluffy on the inside, chock full of little pieces of chinese sausage and dried shrimp. Need to have oyster sauce to dip. 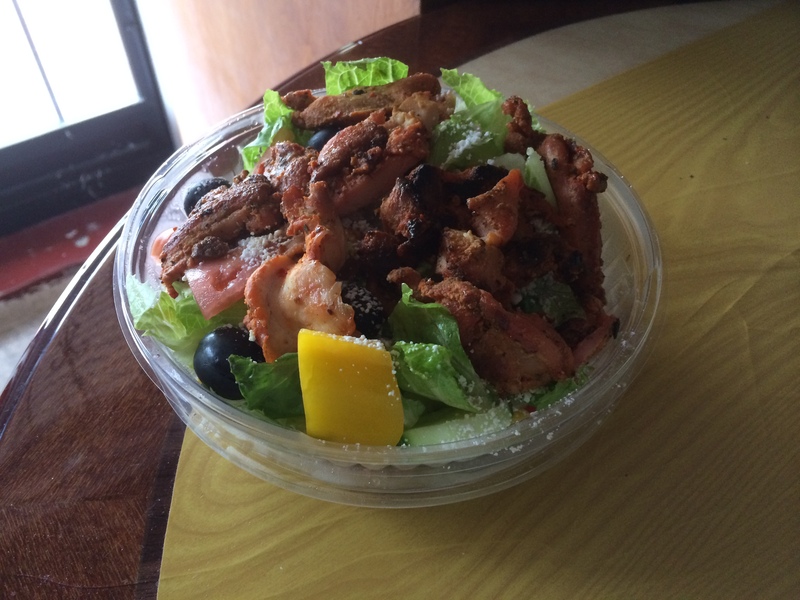 J’s salad from the Mexican place by her house. Very flavorful chicken with a kick. Neither of us touched the olives though..
That japanese sweet potato looks absolutely delicious and it looks even more appealing because u said it was dessert i will have to come visit you just so your dad can make me some. All your pictures though look extremely appetizing. roasted sweet potatoes are the best!! they really are; so simple and yummy!